After many months, my beloved special Kickstarter keyboard has arrived. It's designed to make life more comfortable, save me from endless physical discomfort, and just make things faster. Prolem is: I can't type properly now=. Kickstarter can be truly amazing sometimes, especially when you get a product that just simply wouldn't be available elsewhere. But then there's times when you pay for that product. And wait. And wait. And wait some more. 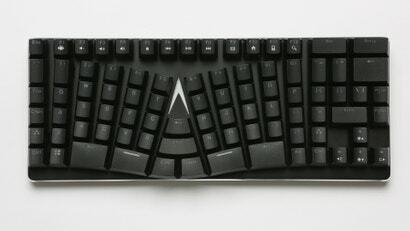 Last month I introduced readers to the X-Bows, a weird-looking mechanical keyboard featuring a unique cross-radial layout designed to keep the wrists straight and typing strain to a minimum. Now that I've gotten my hands on it, weird feels pretty good. 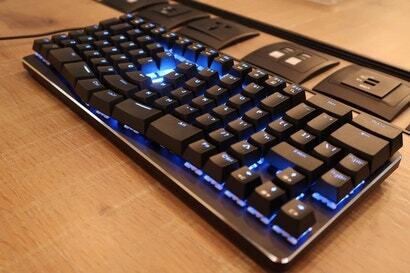 Imagine your hands typing on a standard keyboard. Now relax your shoulders and unbend your wrists so your hands line up with your forearms. 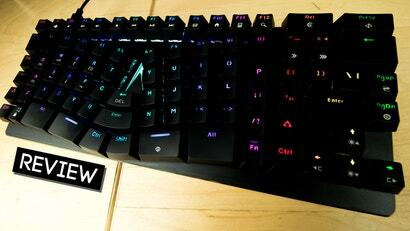 That's why the new X-Bows keyboard is so oddly shaped.